Premier Transport Group boasts an extensive fleet of over 500 vehicles including but not limited to, modern 5 star luxury coaches with wheelchair access, low floor route service vehicles, school and mini buses, as well as a large range of 4×4 mine vehicles. For passenger safety and comfort, our modern fleet is seatbelt equipped with aircraft-style reclining seats, and we also offer climate controlled air-conditioning, panoramic glare free windows, on-board video entertainment as well as washroom and toilet facilities on most vehicles. Servicing of vehicles takes place at our depots and workshops, all of which are equipped with the most up to date equipment in the industry. Our fleet management team are highly qualified and experienced, which ensures our vehicles are serviced and maintained to the highest performance and quality assurance. Our fleet is also tracked through advanced satellite navigation systems that live track a coach’s location, speed and time. 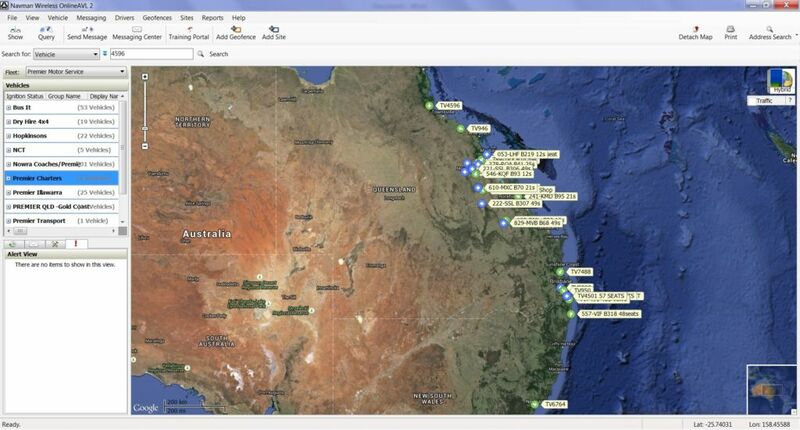 These tracking systems give our offices the ability to ensure that we have exact location data of every coach and can keep our customers informed about necessary details and implications in ‘real-time’. 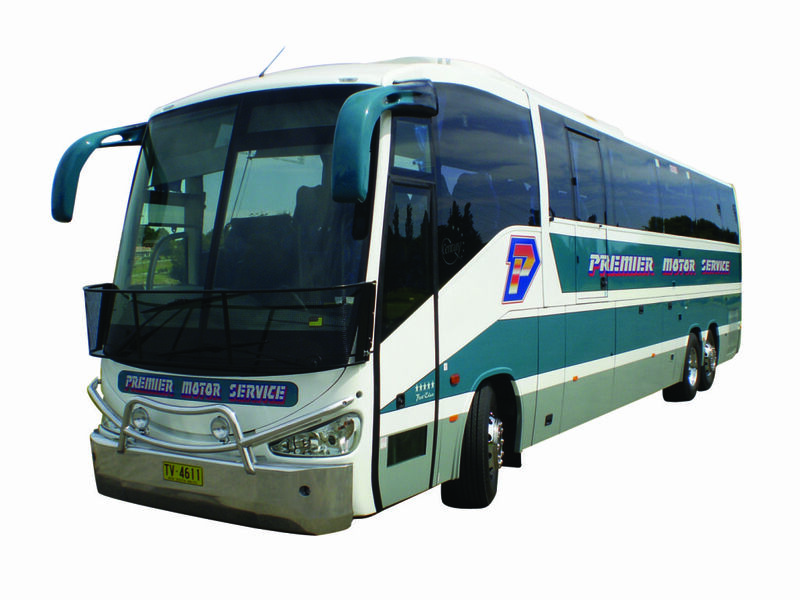 Premier Transport Group operates regular passenger services through our network of family operated businesses, including Premier Motor Service between Cairns and Eden along the east coast of Australia; Premier Illawarra in the Wollongong and Illawarra region; Nowra Coaches in the Shoalhaven and Jervis Bay regions; and Bus It Queensland in Brisbane, Gold Coast, Mackay and Moranbah districts. Our buses, coaches and drivers are available for hire in these areas and more, please feel free to contact us for an obligation free quote.